Think about the word ‘alcoholic’. Now, close your eyes and take a moment to picture the kind of person you closely associate with alcoholism. You may have imagined a puffy, bloated person with red cheeks and a bright red nose. Maybe they were stumbling somewhere or surrounded by bottles. What you’ve pictured, while accurate in some capacity, is likely a caricature. In reality, one in eight American adults is an alcoholic. The odds of you knowing (or being) an alcoholic are quite high. Furthermore, thousands of people live unassuming lives, all the while hiding their alcoholism. 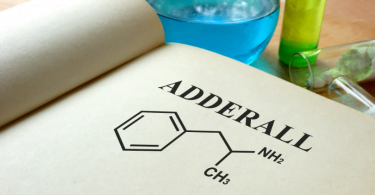 You may not even know they’re battling addiction! 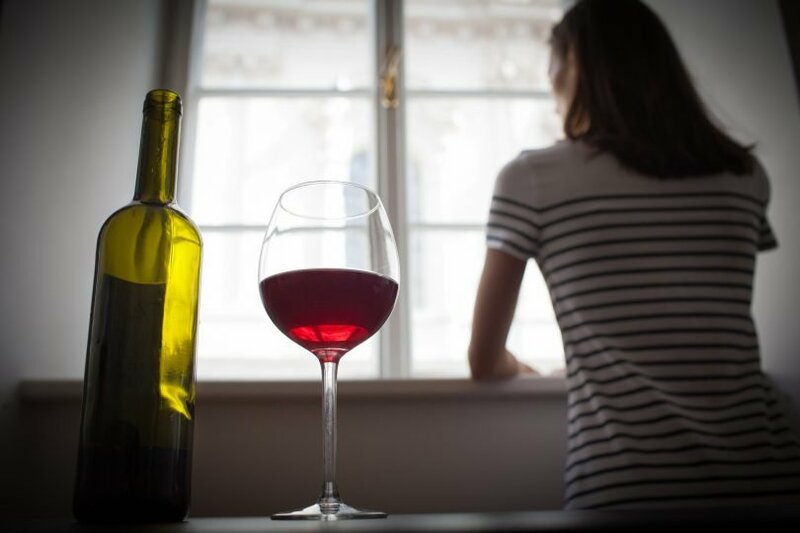 If you’ve found yourself turning to the bottle more and more frequently, and you’re growing concerned, this article is for you. Could you be a functioning alcoholic? Ask yourself these seven questions to find out. 1. How Often Do You Drink? Perhaps the biggest indicator that you’re a functioning alcoholic is the frequency with which you imbibe. According to the Substance Abuse and Mental Health Services Administration (or SAMHSA), heavy alcohol use is defined as binge drinking on five or more days in the past month. Does this sound familiar? How many days, out of the past month, have you had too much to drink? After all, there’s a major difference between a glass of wine at dinner and a whole bottle. If you can’t immediately answer, pay attention to your current habits. You may be a functioning alcoholic and not even know. 2. Why Do You Drink? Admittedly, this isn’t always an easy question to answer. For some, the reason why they drink too much may not be clear. Regardless, it’s important to reflect on your life choices. Why is it that you drink so much so often? Maybe you drink to unwind after a long day of work. Perhaps you drink to cope with a loss or absence. Or maybe you’re just bored and don’t know what else to do with your time. There are dozens of reasons why a functioning alcoholic drinks, and everyone is different. With the help of a mental health expert and a rehabilitation center, you can uncover the real reason why you turn to the bottle. 3. How Much Money Have You Spent On Alcohol? Even if you’re buying relatively cheap alcohol, the cost of liquor, wine, and beer can add up quickly. For the sake of argument, let’s say you begin your week by purchasing a 12-pack at your local grocery store or liquor store. That should run you about $14 give or take a dollar or two. Now let’s say you go out to eat twice a week, each time ordering two or more glasses of wine. That’s another $40 per meal right there. By the end of the week, your 12-pack is gone, so you have to spend another $14 to stock up for the weekend. Or, you choose liquor instead, which will run you about $25. Your grand total comes to $133 per week, $373 per month, or $3,893 per year. That’s how much a moderate drinker spends per week. If you’re a functioning alcoholic, you may be spending double or even triple this amount! 4. Do You Hide Your Drinking? Plenty of alcoholics are aware of their problem but don’t have the means or support system to get the help they deserve. They understand that their alcoholism is a concern, but they may be too ashamed and embarrassed to reach out for assistance. Think about your own drinking habits. How often do you drink alone? Do you go to any lengths to hide your drinking or do you do it in the open? If a friend approached you out of concern, would you feel embarrassed? Shame is cyclical. You may feel embarrassed about your addiction and drink more because of it. 5. Does Your Drinking Interfere With Work Or Relationships? Functioning alcoholism works quite differently than traditional alcoholism. While many alcoholics may not be able to hold down relationships or get a job, a functioning alcoholic, as the name suggests, is able to function in everyday life. But that doesn’t necessarily mean it’s acceptable behavior. A functioning alcoholic may show up to work, but they’re not focused or effective workers. Their drinking has the potential to endanger others if they’re operating machinery, for instance. Of course, work isn’t the only concern. Relationships are just as important. Sadly, many alcoholics struggle to maintain healthy relationships. 6. What Would Happen If You Didn’t Drink For A Week? 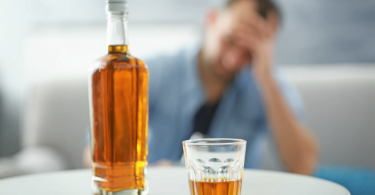 Alcoholism affects both the body and the mind. And as a result, abstaining from drinking has the potential to disrupt both. Consider what would happen if you decided to stop drinking for a week. It’s easy to say you can quit, but the reality is a bit more problematic. If you’re a heavy or longtime drinker, your body is used to the chemicals in alcohol. As a result, you’re dependent. Remember, there are plenty of great resources out there if you want to quit. Please, don’t quit cold turkey, as you run the risk of sending your body into shock. 7. What Would You Do If A Friend Were In This Situation? If you’re truly curious whether or not you may be a functioning alcoholic, try and gain some perspective. Take an objective look at your life. Now imagine that it’s a friend behaving in this fashion. Would you be concerned for his or her safety? It’s often easier to think of others than ourselves. We may feel that we don’t matter or don’t “deserve” saving for one reason or another. But make no mistake, if you’d reach out to a friend in trouble, you likely have friends who will do the same for you. So what do you think, how did you answer these seven questions? Are you a functioning alcoholic? If you or someone you care about are suffering from addiction — be it alcohol or substance — please, reach out. There are thousands of great rehab centers throughout the United States that can help start a better, healthier life. Contact us today to find a center near you, because you’re worth saving. How do I help an alcoholic? What is the meaning of alcoholic? Does being bipolar cause drug use?